Agricola Redesign | Three Tips to Brighten Your Front Door This Spring! 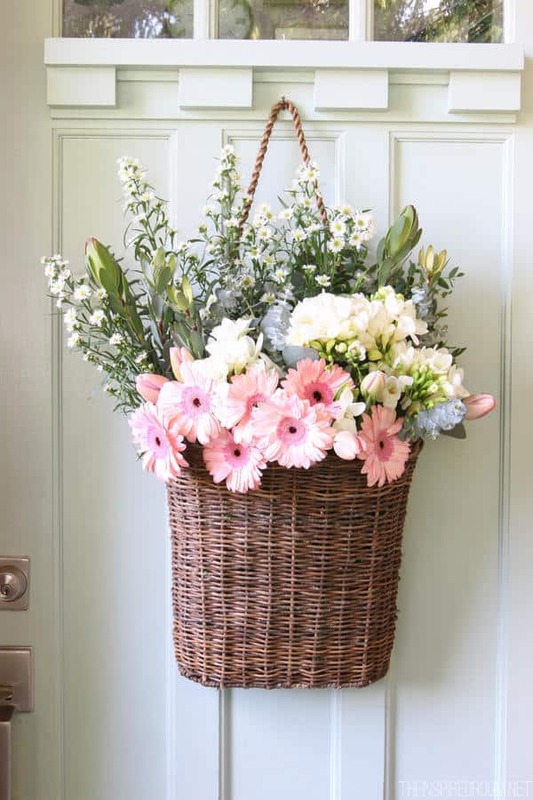 Three Tips to Brighten Your Front Door This Spring! Spring has sprung and we couldn’t be more excited! Although we’re in the rainy days of April, we’re holding out hope that those April showers really are going to bring May flowers! If you’re like us then you’re already in spring decorating mode. 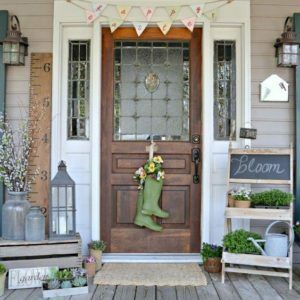 We thought we were out of places to showcase our FAB spring decor ideas but realized – we need to decorate the front door! 1. Adding a bright color to your home’s front door is the perfect way to welcome spring – literally! Here at A Village Gift Shop and the Agricola Redesign offices, we used Sherwin Williams Under Cool #6957. This beautiful blue is the color that comes to mind when we think of spring! 2. Go bright white with your front door this spring. You can then throw in your favorite spring colors with a beautiful wreath you made yourself! Wreaths are such a beautiful way to decorate for a season – you can use plastic Easter eggs, tulips or other flowers, and so many other spring ideas for a wreath! 3. 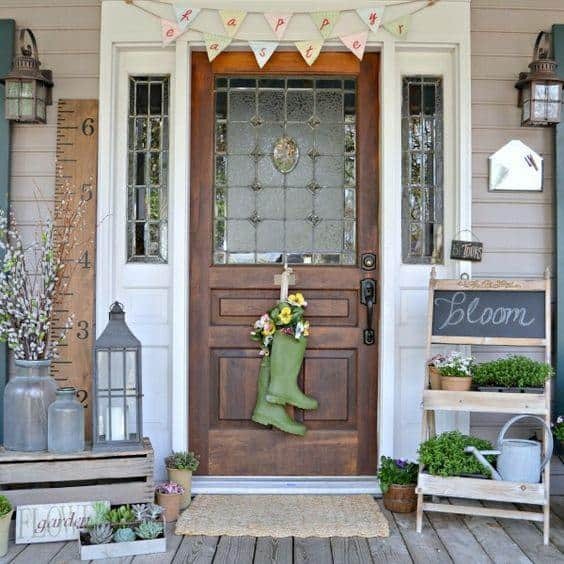 Get super unique with your front door decorating and use a pair of rubber rain boots! You can hang the boots with a pretty ribbon or string and fill them with flowers! We’re totally swooning over this idea and are totally thinking of trying it ourselves! Stop by A Village Gift Shop at 3 Village Square in Glendale to find items to decorate your front door this spring! We have flower pots, baskets, and other great items that are ideal for showing off your front porch this season! Learn more at www.avillagegift.com or www.agricolaredesign.com. Did you try any of these spring decor ideas? Let us know in the comments below!